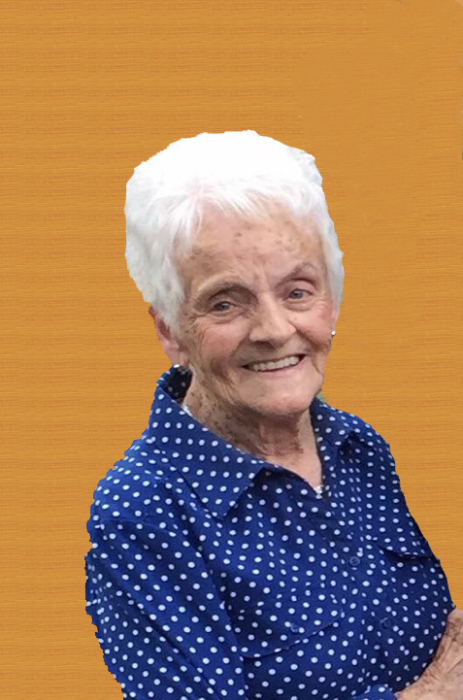 Dorothy Doschadis, age 83, of Wilmot, died Friday, August 31, 2018, at Wilmot Care Center. Funeral services will be held on Thursday, September 6, 2018, at 10:30 am the Wilmot Lutheran Church. Visitation will be held at the church on Wednesday, September 5, 2018, from 5 to 7 pm and will continue one hour prior to service. Rev. Sheila Pohl will officiate and interment will take place in the Wilmot Cemetery. Dorothy Jean (Davis) Doschadis was born on August 25, 1935, at her home outside of Wilmot, SD, to George and Florence (Fehl) Davis. Dorothy lived in the Wilmot area all her life except for her senior year of high school. She graduated from Stanfield High School in Stanfield, OR. On January 22, 1955, Dorothy was united in marriage with Gerald A. Doschadis at the Wilmot Lutheran Church. She worked as the bookkeeper for Doschadis Garage and worked as a Nurse’s Aide at the Wilmot Care Center. Dorothy was active in Community Club, community fund raising, and as a local election officer. She was also active member in her church and took leadership positions such as the Ladies’ Aide Secretary, Sunday School Teacher and Secretary, Bible School teacher, and Circle Chairman. Dorothy was a gifted seamstress and sewed many quilts for her family and friends with the help of her good friend, Bev Pedersen. Left to cherish her memory are her husband of 63 years, Gerald Doschadis; children: Patrick (Anita) Doschadis of Mina, SD, Tamera (Kevin) Jurgens of Wilmot, SD, and Sheri (David) Hammer of Wilmot, SD; grandchildren: Mandy Weber, Nathan (Melissa) Jurgens, Rachel (Mike) Beumer, Landon Hammer, and Logan Hammer; 8 great-grandchildren; siblings: Don (Eileen) Davis, Glen Davis, Janet (Jerry) Milholin, and Barb (Ben) Voogt; sister-in-law, Aster Davis; and many other family members and friends. Dorothy is preceded in death by her parents; son, Dale Doschadis; one great-grandchild; siblings: Richard Davis, Frank Davis, and Betty (Jim) Scheuffele; and sister-in-law, Teri Davis.